Treasamh ràith de Dhìlleachdan Dubh anns an RA? Don chuid nach do dh’fhiosraich e fhathast, is e Orphan Black am prògram ficsean-saidheans as fhèarr air TBh on a chaidh an dreach ùr de Battlestar Galactica a chraoladh. Tha an sgrìobhadh glic; tha Tatiana Maslany gun chosmhail a’ cluich seachd caractaran tur eadar-dhealaichte; tha Jordan Gavaris na mhiorbhail cuideachd mar an caractar, Felix; ach a dh’aindeoin gun deach Maslany ainmeachadh do Emmy am bliadhna, agus a dh’aindeoin cho soirbheachail ’s a tha am prògram, cha deach an treasamh ràith a chraoladh anns an Rìoghachd Aonaichte fhathast. Chraol BBC America an treasamh ràith ann an Ameirigea a Tuath eadar 18 an Giblean agus 20 an t-Ògmhios am bliadhna, ach chan eil naidheachd againn cuin a thig i a-mach anns an RA. Air làrach-lìn BBC3, tha iad ag ràdh gun do cheannaich iad na còraichean dhith, ach nach eil i air a’ chlàr-ama fhathast. 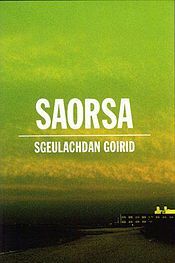 Tha mi air mo bheò-ghlacadh leis a’ phrògram. Tha a’ dèanamh fiughair mhòr ris an ath ràith, agus a’ feuchainn ri milltearan mun sgeulachd a sheachnadh a tha air feadh an eadar-lìn a-nis on a chaidh a chraoladh ann am pàirt eile dhen t-saoghail mar thà. Cha tuig mi carson nach do chraol BBC3 an treasamh ràith an seo aig an aon àm a thàinig i a-mach thall thar a’ chuain mhòir. Chan eil fios aig duine beò. Sàrachail! Ach anns an eadar-ama, mura chunnaic sibh iad, mholainn ràith I agus II gu mòr. Is fhiach iad gun teagamh. PS. 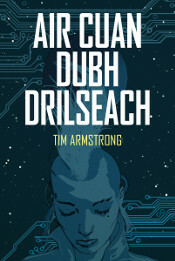 clone (ainmear/gnìomhair) bhon Ghreugais, κλών, a’ ciallachadh geug, agus a thàinig a-steach dhan Bheurla bhon ghnìomh tron a chinnear lusan ùra bho geugan luis-phàrant. 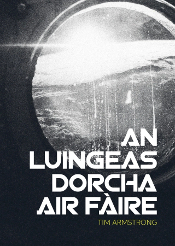 Mar sin, dè b’ fheàrr leibh: facal stèidhichte air fuaim na Greugais (via na Beurla), m.e., clòn (ainmear/gnìomhair), clònadh (ainmear gnìomhaireach), no faclan le tùs Gàidhealach, m.e., ionannaiche (ainmear) ionannaich (gnìomhair), ionannachadh (ainmear gnìomhaireach)? No rudeigin eile is dòcha? Chleachd mi fhìn clòn ann an sgrìobhadh, ach is dòcha gum biodh faca stèidhichte air a’ Ghàidhlig na bu grinne. Dè ur barail? 1 Response to Treasamh ràith de Dhìlleachdan Dubh anns an RA?